For Christmas last year I gave my Dad a Family Tree DNA kit. Truth be told, it was more for me, but he was kind enough to supply his DNA! I have never been one for the DNA bandwagon. It feels like it does little for my research, other than to validate the basic knowledge of where my roots started. So I wasn't sure if I wanted to spend the money or not. However, I know that putting off the gathering of DNA is never a good idea, as you don't know what tomorrow will bring. Therefore, I bit the bullet and jumped on the bandwagon. Admittedly, I have done little to no research on the DNA process and the value of it in my family history kit bag. Proof positive that I have never grown out of my disinterest in science. Because of these reasons, I leaned on fellow genealogists in choosing the best option for me. Judy Russell, The Legal Genealogist, and her post "Most bang for the DNA buck" was my starting point. Judy breaks down the options for the top three companies: AncestryDNA, 23andMe and FamilyTree DNA. Her review was invaluable to me. Based on what I read through Judy's review and reading through each of the websites, I finally opted to use Family Tree DNA. I chose the Y-DNA (37) Ancestry Test, which tests the father's line at a price of $169. 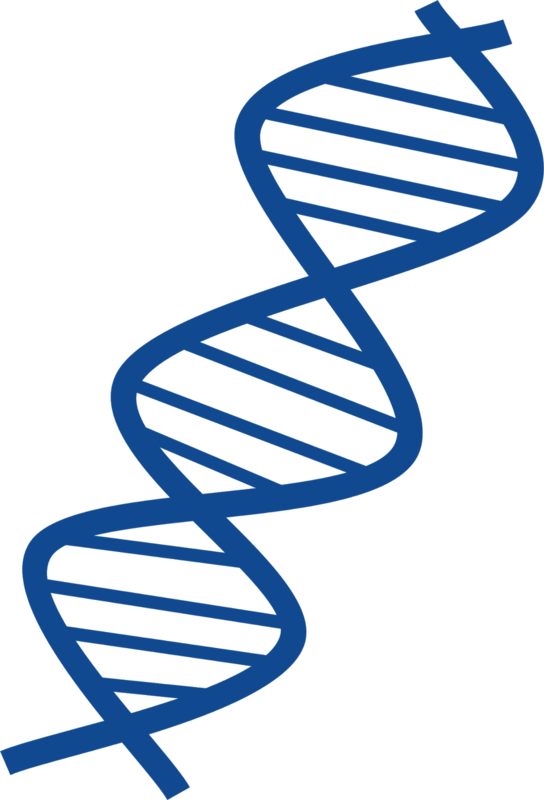 There are three levels of Y-DNA tests, differentiated by the number of markers they test: 37-marker matches, 67-marker matches and 111-marker matches. Obviously, the more markers tested, the more precise the results. Family Tree DNA allows you to upgrade to the higher marker matches if you choose to do so down the road, for only the difference in price for the two kits. The kit was easy to use. The company received my completed kit on January 12 and I received results on February 9. I was pleased with the quick turnaround. Above is a screen shot of the various ways you can explore your results. Because I'm not very educated on the process, many of these options are a little elusive and I have not been able to fully interpret my data. For me, the most interesting and telling result was reviewing the Y-DNA matches. This allows me to see individuals that share markers with my sample. I was glad to see that we matched someone whose most distant known ancestor was Peter Kuhn, my ancestor. While I'm glad I submitted the DNA test, I am still on the fence as to how valuable the information was to me. But at the very least, I have the DNA on file and as programs improve and I become more educated I will have additional options for research. Again, I felt pulling my results from the various options was difficult. My coworker chose Ancestry DNA and received a personalized report outlining his results, which would have been nice. Best as I can tell, I am in fact German, English and Irish. Good to know 100+ years of family research were on the right track. Since you chose to do a yDNA, Family Tree DNA was your only real choice. I have had my 87-year-old parents tested as well as my husband. Did the autosomal test at Ancestry first, then downloaded the raw data and uploaded to Family Tree (and paid the fee to unlock matches). I also did a yDNA (37 markers) on Dad and a mDNA on Mom. Like you, I'm still learning about DNA, but educational sessions I'd attended recommended testing the oldest persons in the family line, and luckily my parents agreed to the tests. I haven't gotten much from the yDNA and mDNA results yet (partly because so far Dad has no matches). But the autosomals have helped confirm some of my research, particularly in my husband's paternal line (I'll probably do a yDNA on him next). And by the way, Judy also says those ethnicity estimates are the LEAST accurate part of the results (see http://www.legalgenealogist.com/2016/05/01/those-percentages-revisited/), so don't feel too bad about your co-workers fancy results report. I love Judy's comment, "Simple fact is, these are estimates. NOT take-it-to-the-bank evidence for changing your lederhosen for a kilt." Ha! Well phrased. I am pleased at having done the test, but I think I really need to dig in to exactly what I get out of it. At the very least, I'm glad to have started the process...you never know what can happen when you put it off. Do you feel like the mDNA test is worth it? Heather, I'm not really sure yet. But as I mentioned, my mom is 87, and I wanted to get her mDNA (or mtDNA) into the system. I am hoping it will help us trace up a maternal line (to one of my great-great-great-grandmothers) that we know little about. That is a good idea. Perhaps I should do the same on my female lines as well!